Vehicle collisions are a leading cause of preventable death among children in the U.S. There are steps you can take to safeguard your children, such as using appropriate car seats and using safe driving habits. Unfortunately, not all car accidents are preventable, given that you cannot control the behavior of other drivers on the road. If your family does become involved in an accident, you can schedule a visit to a car accident law firm in Baltimore. An accident attorney can demand justice on behalf of your family. 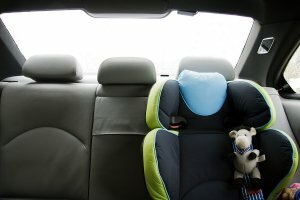 At a car accident law firm, one of the questions your attorney is likely to ask is whether your child was in an age-appropriate car seat at the time of the crash. According to the Centers for Disease Control and Prevention (CDC), when infants are placed securely in appropriate car seats, the risk of death in a collision drops by 71 percent. Children up to the age of two should be placed in a rear-facing car seat, while those from age two through five can use a front-facing car seat. Thereafter, children should be placed in a booster seat until they have grown enough to wear a seat belt properly. Remember to check the upper weight and height limits of all car seats and booster seats your children use. Your accident attorney may also ask where your children were seated in the car at the time of the collision. If your children are 12 or younger, they should always be seated in the backseat. Placing young children in a seat with an airbag can increase the risk of death in the event of a crash. Additionally, your attorney at law in Glen Burnie is likely to recommend placing children in the middle of the back seat, since this is the safest spot in the car. Generally, children no longer require a booster seat when they are at least 57 inches tall and seat belts fit them properly. If the seat belt fits properly, the lap belt will lie across the upper thighs, rather than the stomach. The shoulder belt should extend along the chest, rather than the neck. Always check to make sure your children have buckled up before starting your engine. Individuals who consult an attorney at law in Baltimore often do so because they sustained serious injuries in a car wreck , such as whiplash. Whiplash is a type of soft tissue injury that can become a chronic condition if not treated promptly and properly. And unfortunately, it’s often difficult to quickly diagnose and treat whiplash, given the wide array of symptoms it can cause. When you visit a car accident attorney, be sure to disclose all of your symptoms and discuss the extent to which they interfere with your daily life. You can hear more about the symptoms of whiplash by watching this interview with an orthopedic specialist. He explains that victims who seek the help of an accident attorney often experience neck pain, stiffness, and reduced range of motion. He also discusses the neurological symptoms that may arise, such as numbness and headaches. Since you may be out of work for a while as you recover, your attorney at law can help you demand fair compensation. 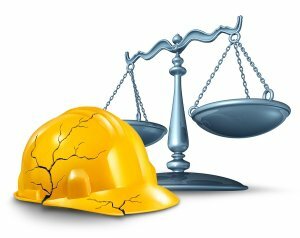 Employers in Maryland are legally required to provide workers’ compensation insurance for their employees. This means that if you’ve suffered an injury or occupational disease during the course of your work, you can seek the help of a workers’ compensation attorney near Baltimore. Your workers’ compensation attorney can help you file a temporary or permanent disability claim. Your lawyer can help you request temporary partial disability benefits if you are not completely disabled and you are expected to recover. This type of workers’ compensation claim may be right for you if you’ve suffered a minor injury or mild occupational disease. During your recovery, you’re expected to perform part-time or limited duties. Since this will reduce your wages, you may be entitled to receive compensation to replace some of your lost income , in addition to compensation for medical expenses related to the health condition. Your workers’ compensation attorney can let you know how much money you may be entitled to. If you are expected to recover from your occupational disease or injury, yet you cannot work at all during this time, you can file for temporary total disability benefits. 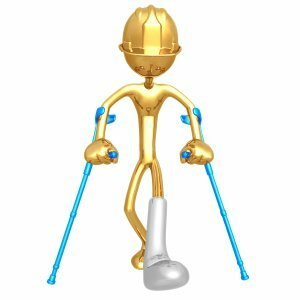 Bear in mind that you will no longer be considered disabled when you return to your job duties in some capacity, even if you haven’t reached your pre-injury level of health. Alternatively, a healthcare provider may determine that you have obtained maximum improvement. Far too often, workers suffer work-related injuries and diseases that permanently disable them to some degree. Filing this type of workers’ compensation claim does not mean that you will receive workers’ compensation benefits for your lifetime. The length of time you’ll receive benefits depends on the severity of the injury and the body part that was injured. For example, you can receive benefits for 100 weeks if you’ve lost your thumb or the use of your thumb. If your physician determines that you will never be able to return to work in any capacity as a direct result of the occupational disease or injury, your workers’ comp attorney serving Glen Burnie can help you file a permanent total disability claim. This type of claim is reserved for those who have suffered the most serious of injuries, such as the complete loss of limbs, eyes, hands, or feet. Employers are legally required to purchase workers’ compensation insurance for most types of employees. This means that if you suffer an injury or illness while on the job, you can file a temporary disability claim with the help of your workers’ compensation attorney near Baltimore. This insurance program is required to pay for all of your medical expenses for the work-related injury or illness. For example, the costs associated with hospitalization, diagnostic tests, therapeutic procedures and surgeries, medications, and therapy sessions will all be covered. Additionally, if you miss work due to your injury, you’re entitled to recover a portion of your lost wages. Often, however, it can be difficult for employees to file a workers’ compensation claim and receive all the benefits to which they are entitled. This is why it’s a good idea to consult a workers’ compensation attorney. A workers’ compensation attorney can ensure that the paperwork is filled out properly and submitted on time. In the event that you already submitted a claim and it was denied, your attorney at law can appeal the decision to help you receive the compensation you deserve.